It is Yoshitake Hotaka JAPAN DRONE WALKER. This time it is now, I would like to make a purchase motivation and opening report of Mavic PRO . I think that it has already been introduced on various media, youtube, etc., but please do not tell me too. Three points are wonderful! It is! This compact drone currently does not exist with this performance. In addition, the price boasts 129,800 yen and boasts the strongest cost performance with existing drone. Forcedly packing phantom in a big backpack, and putting in the camera equipment further it became a reasonable weight. I had a hard time with this. Always the weight of the baggage and the baggage must be more bulky than anything else and you must always care about the drone and the next time you take a drone overseas you will definitely like a drone like Mavic PRO I actually felt that I should bring along. By the way, despite the fact that the total weight of luggage was close to 20 kg, there is a mysterious episode that LCC’s baggage limit of 7 kg has surpassed. 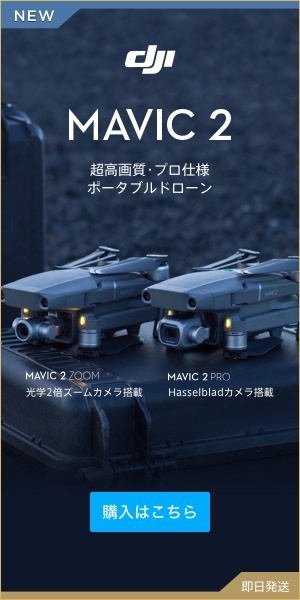 I myself wish to enjoy drone aerial shooting not only in Japan but in various places around the world, so the performance and compactness of Mavic PRO (Mavic Pro) are just right. So I will introduce the contents of Mavic PRO (Mavic Pro) right away. When opening the box it looks something like this. Since it takes 1 hour to charge 1 piece, I recommend you to charge it when there is time. It is the charging of the propo that tends to forget again. It does not matter but the picture is blurred like a concentration line. Well Well when you compare it and compare it, the size is obvious. Especially because there is a height of the drone body, it becomes a considerable difference. The phantom series is useful because it has no problem even if the scaffolding of landing and departing is somewhat owing to the existence of this base handle part, because it is easy to handle and catch. Mavic PRO can say that this point is a weak point. I’m selling such goods for the first time to earn height, so I think I will purchase this. This is likely to be a blind spot for many people, but it is quite a difference even if you compare the size of the propo. The prop of the phantom is too big, becoming a bulky baggage as drone. The size of the prop of Mavic PRO (Mavic Pro) is really attractive. Regarding batteries, at least 1 person in any person wants a spare! In other words it becomes necessities. The battery of phantom is about 20,000 yen, and that of Mavic PRO (Mavic Pro) is about 10,000 yen which is about twice the difference. This difference will be a big difference. That’s why we bought Mavic PRO purchase motivation and opening report. Well I do not want to take a picture of the aerial photograph at all, so I think that I will go on a trip even this weekend.